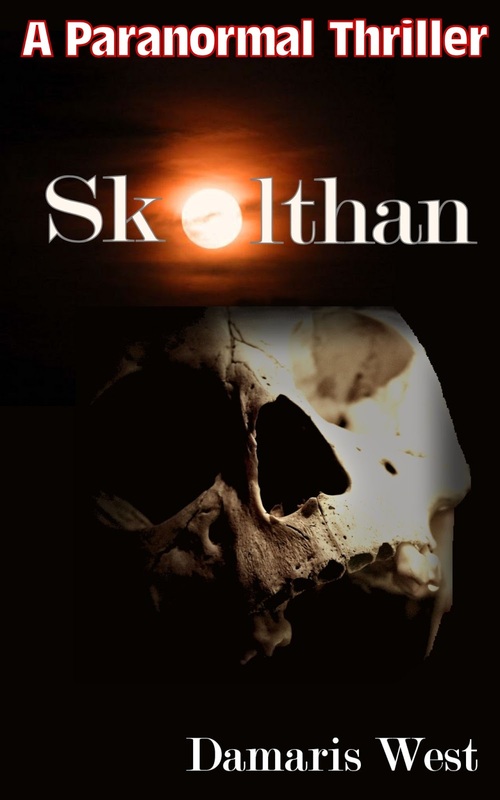 Today is a virtual book tour stop with Damaris West as she tours her novel, Skolthan. Welcome, Damaris. Please tell us a little bit about yourself. I was born and brought up in Cambridge, UK, and became a modern linguist, librarian, nursery teacher and finally Director of a UK-wide employment agency for professionals. I currently live with my husband and 3 dogs in a rebuilt farmhouse in Umbria, Italy. I write a daily blog about my life here - http://italyhouse.wordpress.com. My hobbies include playing the violin, gardening, photography, and reading. Please tell us about your current release, Skolthan. It's the story of a very private woman with a secret that she tries fiercely to protect. From her lonely house on the edge of a salt marsh, Hilda can reach an island which is the portal to a paradise world. 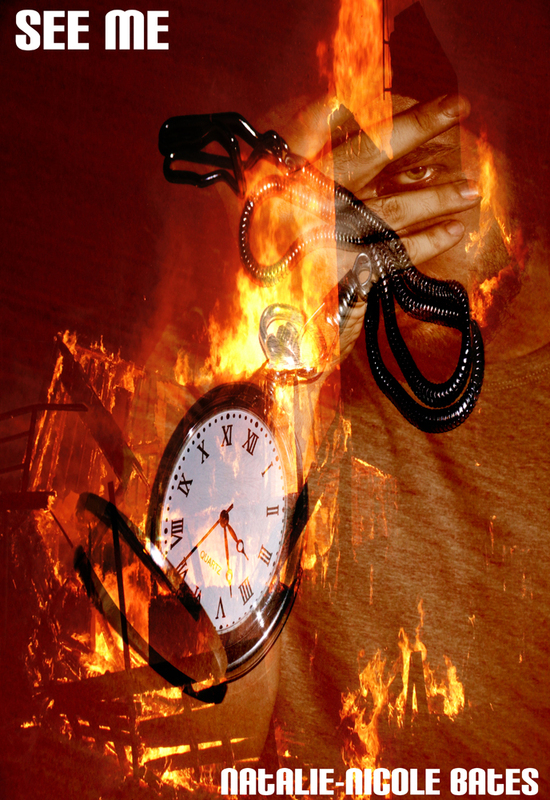 This world is the object of the machinations of witches and a warlock, who will stop at nothing to gain access. Hilda needs to outwit them and kill the invasion. Probably a feeling for the real-life island, which is quite beautiful, and also a sense of what it would be like to live on the edge of the marsh, isolated, with life revolving around the weather and the tides. It was a short step from there to imagine hostile forces trying to break through to a world beyond. And then I saw Joshua reappear. I knew it was him because of his stature and the authority in his gait. He seemed to be surrounded by a thick mist which moved with him, and the contours of his features and of his limbs blurred and shifted from one form to another. It was Joshua, and yet one moment there was a man dressed in neutral-coloured clothes, grey-bearded and powerful, and the next there was an animal with a hair-covered chest, horns and the pointed beard of a goat. The half-human figure seemed as tall as a tree in comparison with the girl huddled at his feet, and the women drew back so that she gradually became aware of his presence. As soon as she saw him she shrank away, but he reached down and picked her up with one arm under her shoulders and the other under her legs. Then he straightened and held her carelessly so that her head lolled back and her dark hair streamed down like a waterfall. After a few moments, in which she never struggled, he raised her, so that I wondered if he was going to kiss her. But instead, with one massively energetic gesture, he flung her with both arms like he might have hurled a pile of bedding, and she sailed through the air, over the margin of shore and into the opaque water of the mudflats, without even uttering a single cry. Her body disappeared, sucked down into the glutinous silt which in places has the properties of quickmud. In my dream I moved towards her and saw her head reappear: damp hair clung to her cheeks, rivulets of mud ran down over her forehead and her eyes were wide and black with emotion. The emotion didn’t seem to be fear any more, or even desperation; it looked more like bewilderment, and with that expression on her face, staring straight at me, she sank back under the brown water. I've nearly finished a story about wolves as a force for good and against child abuse. It's set here in Umbria. I think when I wrote my first poem about a wild goose migrating. I was 8 or 9, and I showed it through the fire escape door at school to some older girls who gave me the thumbs up. After that a group of friends and I started writing a sort of chain novel, with each of us writing a chapter and passing it on. The result was quite comical. I run a publishing company with my husband Clive, but he's very good to me and allows me more than my fair share of time to write. My main distractions are to do with living here: seasonal jobs in the garden, house maintenance, or things regarding the dogs. I don't have a daily programme and I basically write when there's nothing else pressing. I make only a vague plan and then allow the book to suggest its own development. Also whenever possible I write about the current season in order to get the atmosphere. A lady of leisure with a big house and garden and lots of animals - then a psychiatrist. If you've got the talent, have written something worth reading and don't want the hassle of self-publishing, please submit your book or outline plus sample to us so we can consider it! The URL is http://www.anysubject.com/writers-wanted. 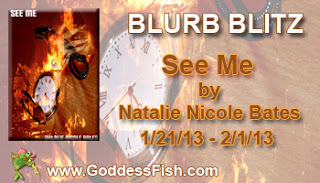 Today is a virtual blurb blitz stop for paranormal romance novelist Natalie Nicole and her book See Me. Along with a glimpse into her novel, Natalie be awarding a $25 Amazon gift card to a randomly drawn commenter during the tour. To be entered for a chance to win, leave an e-mail address with a comment below. And for more chances to win, visit other stops and comment. Readers, don't forget to leave an e-mail address with a comment below if you'd like to be entered for a chance to win a $25 Amazon gift card. 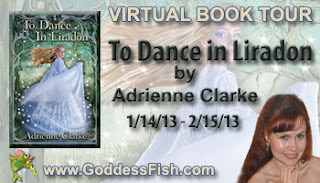 Today is a virtual book tour stop for Adrienne Clarke and her young adult fantasy romance novel To Dance in Liradon. To be entered for a chance to win, make sure to leave an e-mail address with a comment below. And if you'd like to increase your chances of winning, visit other tour stops and leave comments for Adrienne. Welcome, Adrienne. Please tell us a little bit about yourself. I think I became a writer because the world inside my head was so real and vivid, sometimes more so than the outside world. In some sense I have lived parallel lives, present in my real and imaginary lives in different ways. Because much of my childhood was spent searching for faeries or reading about them, it is natural that my work encompasses fairy tale themes and other magical elements. In the words of Tennessee Williams, forget reality, give me magic! 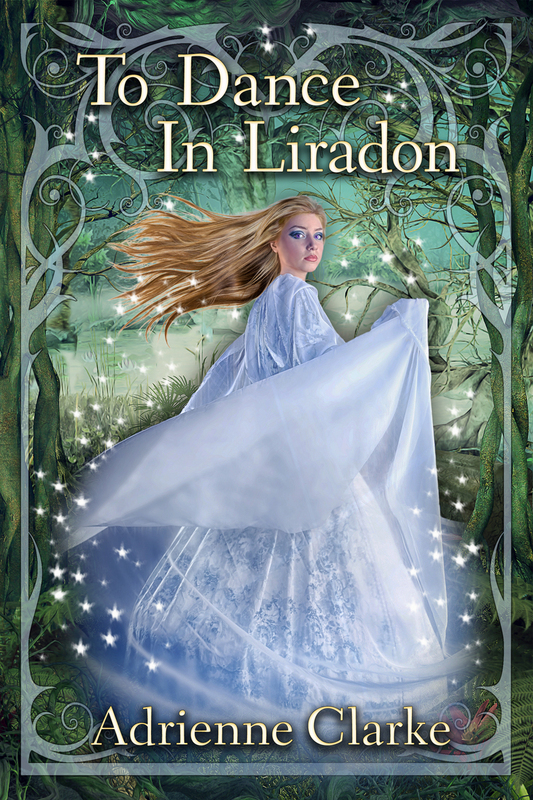 Drawing on elements of Celtic fairy tale mythology, To Dance in Liradon is filled with magic and romance, but it’s also a story about growing up, about the deceitful nature of appearances, and, most importantly, about what it is to be human and to love. The story for To Dance in Liradon has been with me for a long time. I have a shared passion for fairy tales and Celtic mythology, and I knew I wanted to write a book that drew on the magic and romance of both. I’ve always loved stories about the Irish Tuatha De Danann: Tall, beautiful, proud, and amoral, who have a propensity for falling in love with humans. To Dance in Liradon explores what happens when the human and Faerie worlds collide. Brigid allowed the sweet music to seep into her veins and then she was away. Away from the disapproving eyes of the other villagers, away from her mother’s fond but anxious expression, away from Connell and his undecided intentions. Once she was inside the music nothing else mattered. She felt as free and untouchable as the lord himself. As she advanced around the ring, her feet tapping lightly against the ground, she was dimly aware of the other dancers. Two had already left; their desire for more ale greater than their desire for the cake. Ahead of her, Isibeal, Tanner’s daughter, stumbled and Brigid danced around her like the wind. Brigid never got a cramp in her side or lost her footing. Once she started dancing her tiredness fell away from her like a heavy, velvet cloak. She could go round and round the ring until a new sun rose in the sky. But she would not have long to wait for her victory. One by one the other dancers began to tire. Fin, the Falconer’s son, one of Brigid’s long-ago playmates, fell to the ground gasping for breath. “No more,” he said before struggling to his feet. Mary, Baker’s daughter, and Isibeal also took their leave. Brigid could feel their jealous glances burning into her back after they rejoined their families who stood around the ring waiting to see who would falter next. Now only Brigid and Deirdre Faolan were left. The two girls danced alone together on many such occasions. Deirdre did not possess Brigid’s love of music, or her graceful footwork, but she was sturdy and strong from her work in the fields, and the desire to win radiated from her well-muscled limbs. The dancers shared the same steps but their movements were as different from one another as the sun and the moon. Deirdre’s brow glistened with sweat, two hectic spots of colour staining her ruddy cheeks, while Brigid felt as cool and weightless as a shadow. But if her feet held some magic, her shoes possessed none. Already worn through in several places, she felt the soles of her feet connect with the hard ground. Still she danced on, her pale face upturned to the sky, which was now well and truly dark. She wished she could dance her way up to the highest star and disappear into the sky’s inky blackness. I’m very excited about my novel in progress, Opium Ghosts. It’s a supernatural mystery set in Victorian London at the height of the spiritualist movement. I’ve always been interested in séances, ghosts and mediums, and I loved the idea of writing a historical novel that was part romance part ghost story. The growth of spiritualism also marks a fascinating period in women’s history – all of a sudden young middle class women found themselves in positions of real power. Some of the most famous mediums of the day were teenage girls who captivated their audiences with ghostly materializations, or not, depending on whether you believe in spirits or trickery. I’ve done research for all my novels, but the research for Opium Ghosts has definitely been the most fun. When I was in grade two I wrote a poem called “Dreamers,” that to my astonishment made my teacher swoon. It’s my first memory of feeling like writing was something I was good at. After that I was hooked. My day job involves working as a mediator, but right now I’m on an extended maternity leave. I write the days that my 2-year old daughter is in daycare, and when I can manage it I get up really early to write before everyone else wakes up. It can be a difficult balancing act, but I write because I must – there’s no choice involved. I write all my first drafts long hand – an increasingly odd practice! A writer, a ballerina, and a magician – in that order. I hope that if you do decide to read To Dance in Liradon you’ll let me know what you thought. Connecting with readers is one of the best things about being a writer. I’d love to hear from you! Readers, don't forget about the fabulous giveaway being offered! To be entered for a chance to win, leave an e-mail address with a comment below. Good luck! 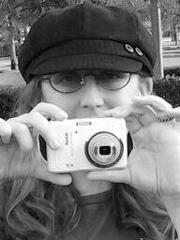 Today's blog guest is novelist Cynthia Owens. 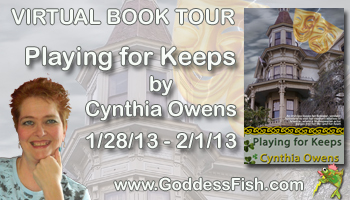 This is the first of many stops she's making as she does a virtual book tour for her historical romance, Playing for Keeps. Cynthia will be awarding a sterling silver Claddagh pendant (US/Canada only) to a randomly drawn commenter during the tour, and a second randomly drawn winner will receive winner's choice of an autographed copy of either Cynthia's first or second book (In Sunshine or in Shadow, or Coming Home). To be entered to win, leave an e-mail with a comment below. And to increase your chances of winning, you can visit other tour stops and leave a comment there. Welcome, Cynthia. Please tell us a little bit about yourself. A former journalist and lifelong Celtophile, I enjoyed a previous career as a reporter/editor for a small chain of community newspapers before returning to my first love, romantic fiction. My stories usually include an Irish setting, hero or heroine, and sometimes all three. My novels, In Sunshine or in Shadow and Coming Home, set in post-Famine Ireland, are available from Highland Press. Playing For Keeps, the third book in the Claddagh series, will also be published by Highland Press. 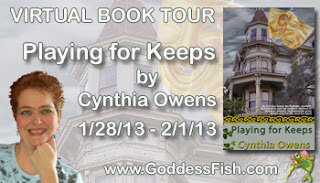 Playing For Keeps is the third book in the Claddagh Series, historical romances set in Ireland and beyond. My heroine, Katie O’Brien, is the daughter of an Irish landlord who has spent most of her life in the tiny, west-of-Ireland village of Ballycashel. Now eighteen, she’s convinced her father to allow her to return to Baltimore to become reacquainted with her late mother’s family. The reunion doesn’t go smoothly, though, and Katie finds herself longing for the loving family and friends she left behind. Until she meets Lucas Howard. Lucas is an actor with the Shannon Troupe, a handsome, golden-haired man with wit and charm – and a passion for Katie O’Brien. But their love is threatened by buried secrets, old rivalries, and Lucas must make a decision that could tear the apart forever. Is their love just a brief interlude, or are Lucas and Katie Playing For Keeps? Katie appeared in my first book, In Sunshine or in Shadow, and a throwaway remark she made in one scene told me she had to have her own story. Her father, Rory O’Brien, told her that one day, if she wanted to, she might return to America to visit her cousins, and it was then I knew I write Katie’s story. I’ve always loved Shakespeare and the theatre (as Katie does also), so what better hero for her than an actor? And I was thrilled to be able to set at least part of the book around the theatre. Lights dimmed; thunder cracked and rumbled through the theatre. Katie blinked as bright flashes of lightning illuminated the house. Then her breath suspended in her throat as the red velvet curtain slowly rose and, accompanied by eerie music, three bearded witches slunk onstage. This is the sergeant, Who like a good and hardy soldier fought ’gainst my captivity. He was magnificent in medieval plaid, his strong legs encased in woolen hose, his sword glittering at his side. His broad shoulders wore the plaid with pride, and when he turned to face the audience, she felt his smile like a blow to her heart. The instant the house lights came up and she could see properly, she glanced quickly through the program. Lucas Howard. A fine, strong name, and somehow appropriate. Those golden eyes could pierce right through to a woman’s soul and strip it bare. Oh, if only she could see him again, hear his whiskey-smooth voice, see his dazzling smile aimed only at her. But of course, that was silly. Lucas Howard was probably as unaware of her as she was conscious of him. She was nothing to him but a potential member of a prospective audience, a ticket sale to add to the theatre’s coffers. With that depressing thought, she pasted on a smile as the first guests arrived at their box. …Let us seek out some desolate shade, and there Weep our sad bosoms empty. The voice, filled with such powerful grief and longing, sent shivers dancing along Katie’s spine. She stared hard through her mother-of-pearl opera glasses, cool against her heated fingertips. His presence on the stage was compelling, his attraction undeniable. As she let her gaze wander for a fleeting second, she saw many pairs of opera glasses pointed in the same direction. She’d be willing to bet all her winnings at last year’s Galway Races that most of them were pointed at Mr. Howard. She soon became absorbed in the play once again. And it wasn’t only because of Lucas Howard. The entire cast was superb, particularly the lovely blonde actress who portrayed Lady Macbeth, and the older actor—it was he who had swept into the White Rose with Lucas—in the role of Macbeth. But in truth, Katie only saw Lucas. I have several stories-in-progress on my laptop right now. 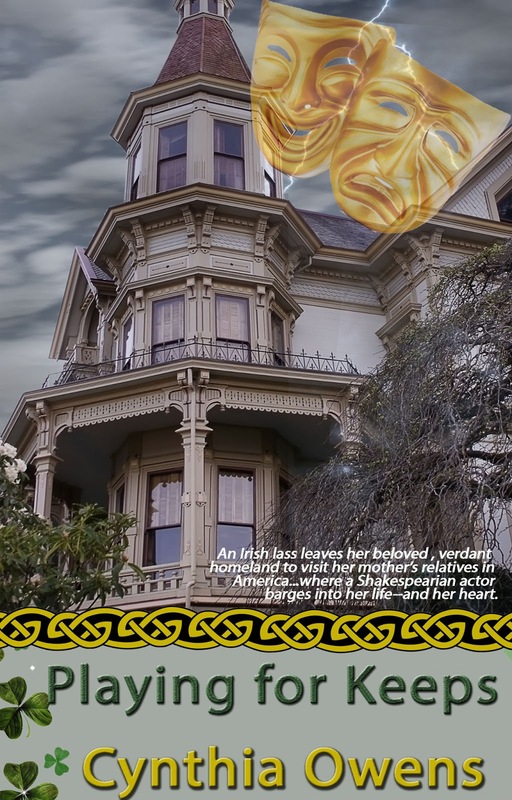 One of them that I’m really excited about is tentatively entitled “Everlasting.” It’s the fourth book of the Claddagh Series, and the heroine is Shannon Flynn, who appeared briefly in Coming Home, Book II of the Series. Shannon is Tom Flynn’s eldest daughter, and since her shy, tentative romance with Mike Donavan, she’s had a lot of heartache. Can a mysterious stranger with burnt-cinnamon hair and sea-mist eyes bring her the joy and fulfillment she deserves? I began writing stories in the second grade, so I’ve always considered myself a writer in one way or another. 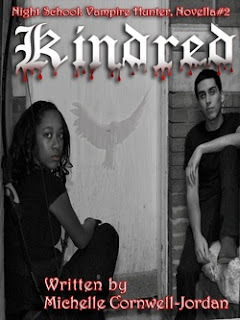 Published or unpublished, I’ve always called myself a writer, maybe because I can’t not write. Even when I take a short break from writing, I’m still thinking about my stories, taking notes, writing down ideas. My characters are never far from my mind. But I think the moment I believed, really believed I was a writer, was the day I held my first book in my hand, when I ran my hand over my name on the cover and raised it to my face to smell that wonderful “new book smell.” That convinced me that all my dreams had really, finally come true. Well, I have two kids, so “full-time” is a relative term. I’m a stay-at-home mom, so I’ve always had to work around my husband, my kids, and the mundane stuff like housework and cleaning, etc. Both my kids are in their teens now, so it’s been easier, but when they were younger, I had to write when I could find the time, whether it was early in the morning, late at night, or during nap times. I still like to write in the morning, since I feel at my most creative then. As soon as the house is empty, and everyone has left for work or school, I put on my favorite music (usually Irish, since my books are either set in Ireland or feature Irish characters) and just write. I try to write at least 1,000 words a day, sometimes 1,500, depending on how the story’s unfolding. I try to keep regular work hours during the day, and keep weekends free for family. Music inspires my storylines. While writing my first book, In Sunshine or in Shadow, I listened to a lot of Irish music (seemed sensible, since the book was set in Ireland). One of my favorite Irish songs is The Fields of Athenry, a song about Ireland’s Great Hunger, as sung by the incomparable Paddy Reilly https://www.youtube.com/watch?v=3cc1zViuQ7Q. As I listened to the song one afternoon, I envisioned the entire back story for my heroine, Siobhán Desmond. I changed it up a bit (Siobhán’s husband was hanged, rather than transported to Australia), but the germ of the idea came directly from listening to that one song. My ambitions seemed to change on a weekly basis as I grew up. One of my favorite books as a child was Heidi, and I was determined I would one day be Heidi. I was also a HUGE fan of the Nancy Drew Mystery Stories, and for a while I was convinced I’d one day become a “girl detective.” But from the time I was about 11, I decided I’d one day write books like those I loved to read. I’d like to thank everyone who came by to visit with me today. I love to hear from my readers, and I love to get to know them. Readers who want to can contact me at authorcynthiaowens@gmail.com I do my best to answer e-mails as quickly as possible. Thanks, Cynthia! Readers, don't forget to leave an e-mail address with your comment below if you want to be entered for a chance to win the pendant. 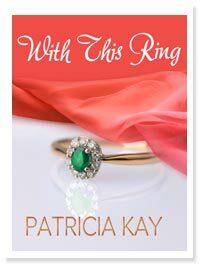 The Writer's Chatroom presents best selling romance novelist Patricia Kay. 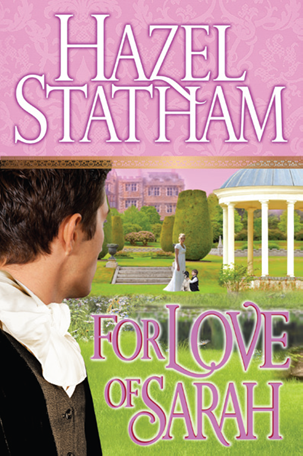 Today is a book promotion stop for Hazel Statham's novel For Love of Sarah. 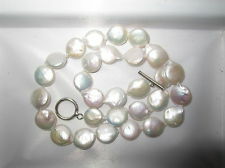 Hazel will be awarding winner's choice of either a Cream Coin Freshwater Pearl necklace or a digital copy of Dominic or His Shadowed Heart to a randomly drawn commenter during the tour. To be entered for a chance to win, leave an e-mail address with your comment below. And to increase your chances of winning, you can visit other tour stops and leave other comments. Hazel Statham began writing at the age of fifteen, finally committing to paper the stories she spun as a child. Writing has been her passion ever since, although marriage, motherhood, and career left time for little else. 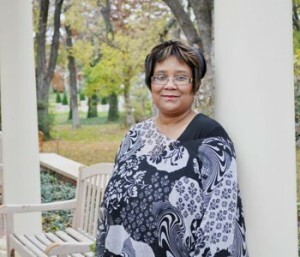 Once she retired, however, she was able to devote herself to writing full-time, publishing her first novel in 2007. A long time student of history, she writes mainly in the Regency and Georgian eras, though she has been known to dabble in the medieval as well. She lives in Staffordshire, England, with her husband, Terry, and their beloved yellow Labrador, Mollie. Hazel loves to hear from her readers and promises to answer all mail. How many times can a heart be broken? How many times can love be denied? Sarah and Alexander were destined for each other, but after just four short weeks of marriage, their lives were torn asunder. Sarah had thought she was safe, but when severely injured in a freak accident, her husband is thrust once more into her life, she fears her dark secrets and the fact she has a son, will become known. “There is no one,” she cried, her voice rising to the verge of tears. 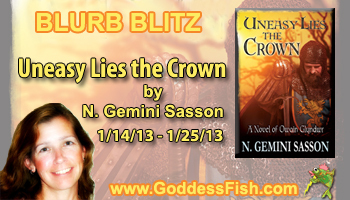 Reviews and Interviews is a virtual blurb blitz tour stop today for Uneasy Lies the Crown, A Novel of Owain Glyndwr by N. Gemini Sasson. It's historical fiction available from Cader Idris Press. N. Gemini will be awarding a $20 Amazon gift certificate to a randomly drawn commenter during the tour. To be entered for a chance to win, leave an e-mail address with a comment below. And to increase your chances of winning, visit other stops and leave more comments. N. Gemini Sasson is the author of six historical novels set in 14th and 15th century Scotland, England and Wales, including The Bruce Trilogy and Isabeau, A Novel of Queen Isabella and Sir Roger Mortimer (2011 IPPY Silver Medalist in Historical Fiction). 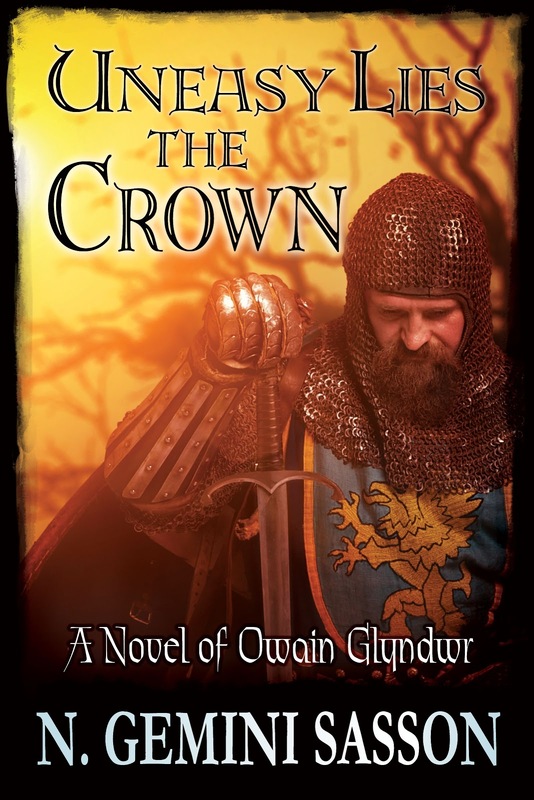 Her latest release is Uneasy Lies the Crown, A Novel of Owain Glyndwr. Long after writing about Robert the Bruce and Queen Isabella, Sasson learned she is a descendant of both. He pressed her hands together between his and then kissed the ends of her fingers. Margaret stood as motionless and mute as a cairn battered by a terrible storm. Minutes passed before she realized that Owain had walked off and her children and servants were scurrying past her, urging her to hurry. Waiting to say farewell. For how long? A few days? Months? Longer? Book Extravaganza Tour with giveaways! Michelle is also the author of the YA novella series Night School Vampire Hunter trilogy. Michelle Cornwell-Jordan is also the producer of the online radio segment IndieReview Behind The Scenes, where she and her co-host Jamie B Musings interview Indie Authors and Musicians. 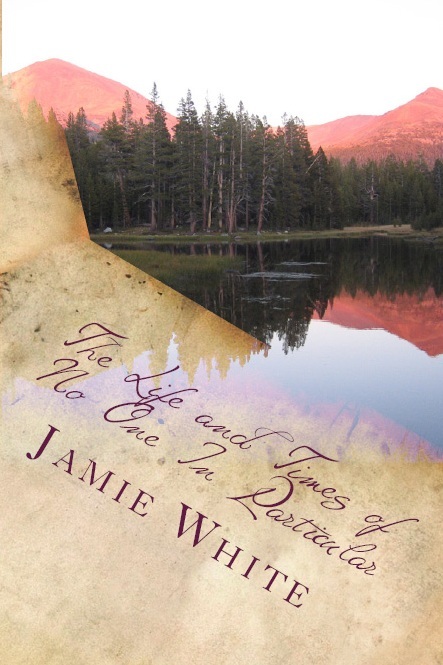 JamieBMusings is a music addict, book lover, pet servant & NaNoWriMo survivor. When she's not busy writing posts for CultureShock, she's taking pictures for her new obsession (That Photo Blog) and spending time with her husband and pets. Her first book, The Life and Times of No One in Particular, was released in May. P Bialois’ love of words began as a small child when his father bought a stack of comics to teach him the reading skills he wasn’t mastering in class. 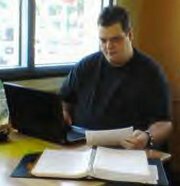 Before long, he was reading at an advanced level and teachers were shaking their heads over the unconventional method. Two books later, Bialois is planning for the release of many more and enjoying the feedback he receives. The up-and-coming author takes inspiration from favorites such as Steven King, Tom Clancy and Sue Grafton. His love of history, fantasy and old monster movies has also served as a muse. When he’s not busy writer or chatting on his social networks, Bialois enjoys watching Hockey and Football as well as Metallica DVDs. He currently lives with his wife- a fellow writer- and their fur children. CP Bialois is also active in several South Florida writing groups, as well as the online writer community. Beware the muse with a chip on her shoulder. Muses are often called uncooperative, grumpy, lazy beings who abandon a writer when they're needed most. Now, one of them has decided to tell their side of the story. Meet Clarissa, a muse who has spent centuries trying to inspire artists who sometimes are too stubborn to listen to her. guaranteed an audience. What if you do an original movie, show or song and no one likes it? I’ve heard it all a hundred times. Some of the most high-strung people I have ever met in all my years of doing this were entertainment executives.It’s like they’re afraid to be human or to have the actors and musicians they hire do the same. I gave up on them years ago. They always take the safest route possible. The safest route might make it easier to get rich quick, but it’s usuallythe most creatively boring. Fear hampers the creative process and makes it harder for us to get through to our charges. That’s the one most important piece of advice you need most, take it from a muse- relax. Art doesn’t just inspire or teach here and there; it’s supposed to be fun, too! 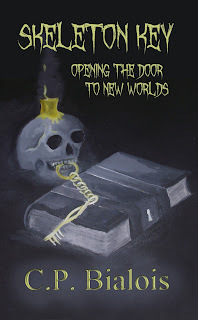 Blurb:From the imagination of CP Bialois, author of Call of Poseidon and the Sword and the Flame series, comes a collection of short stories filled horror and suspense. Nothing is as it seems in the world around us. Join us as we step through the doorway and into the unseen workings of our world. With each story, Skeleton Key will warm your heart with a brother’s love, break it with the ultimate betrayal, and bring the shadows around you to life. Keep telling yourself it’s only a book, and maybe that sound you heard will be just a tree limb scratching against the window. Be sure to read the paper in the morning, as it may save your life. And never, go into a room without something to defend yourself with. Most important of all, relax and have fun. “Did they kill ‘em?” Jason’s eyes were wide as were the rest in the group. Lester knew he had them right where he wanted them. “What happened to the men?” This time Eric spoke, his face was the only one of the group that hadn’t gone pale. Lee nodded, "Exactly, here I thought I had found paradise. But then I guess no matter where you find it, paradise has to have a serpent." Elias looked at him with a worried look. Thoughts of Slasher films danced through his head. "Is there something wrong here, Lee?" Lee shrugged, "Dunno, depends on whether you believe all them ghost stories. People always come up here lookin' fer the ghost of the little girl, but they never find her." Meredith felt a little chill go through her. "A little girl's ghost?" Lee nodded and puffed on his pipe some more. "That's right. A little girl supposedly heard scratching at her bedroom window one night and opened it. Next day she was found dead by her brother. No one knew what to think or believe. There was no signs of struggle, no sign of what happened besides deep scratch marks on her windowsill. Since then, some say her ghost can be seen by the lake, but those that see her don't live to tell about it." Meredith remained quiet for a moment. Her own mind was thinking of the stories of missing children in the paper on a daily basis. "Do you believe those stories?" Lee stayed quiet for a few seconds before shaking his head. "Nah, for the simple fact that how's anyone to know you died if you see her, if no one's lived to tell about it? Nothing more than campfire stories, if you ask me." , diverse musical influences, and her fresh, youthful style have provided the fuel to create the distinctive fusion of rich, classically-influenced vocals with modern, innovative instrumentation that exist together in perfect harmony and have become Cecile Monique’s signature, genre-bending sound. 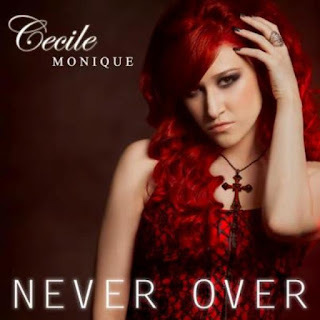 In 2010, Cecile Monique was awarded the prestigious FACTOR New Talent Award in support of her self-titled EP release featuring three of her original compositions, which was recorded at Metalworks Studios, Canada’s #1 recording studio. With the launch of her new EP now available on iTunes worldwide, and a myriad of new projects on the horizon, Cecile Monique is a rising star poised to become an international phenomenon! Follow the tour and Tweet each day for Extra Entries. January 11 - BK Walker Books Etc.